If you ever make it through passed the 5 markets at portobello then you should spot a Moroccan cafe with men only drinking coffee out of glasses. For some reason I thought it was tea. So I asked for Moroccan tea it was actually really nice. 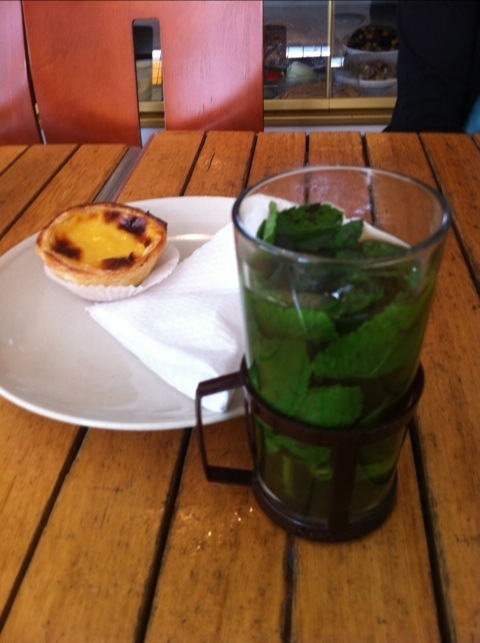 Sweet tea with fresh mint stacked into a glass I also ordered my favourite Portuguese custard tarts which I prefer over the Chinese version.